Our facility is unlike any other gym you’ve been to before. We pride ourselves not only in providing world class CrossFit training, but we also believe in creating a fun, safe, motivating and dynamic environment filled with like-minded people of all ages and body types. With coaches and members who are committed to working hard and achieving lasting fitness results. We love what we do and it shows on the gym floor and on our members faces. CFMR was established in November, 2015 and since then they haven’t looked back. Nicole fell first fell in love with the sport of CrossFit, and Ben soon followed. 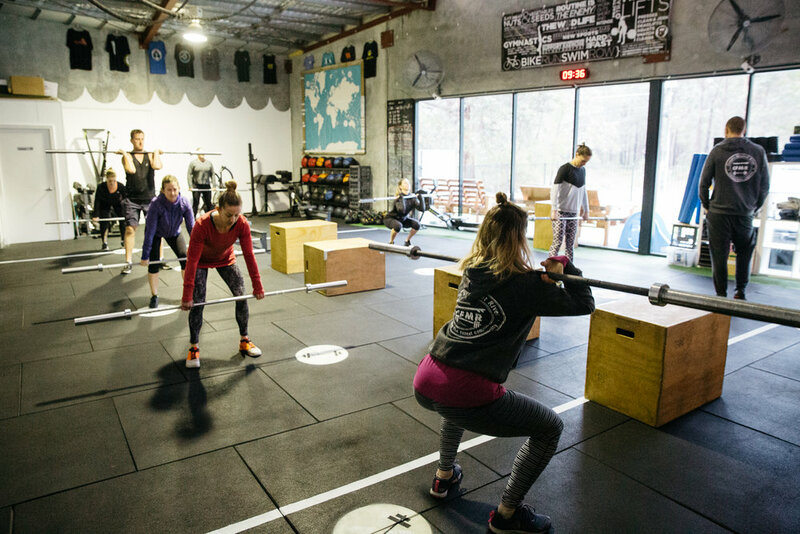 After completing a 12 month internship at CrossFit Frantic, Perth - the pair moved down south and set up the Gym. They have now had the opportunity to have several other coaches support the gym from all around the world, to ensure they are delivering the best possible program for each person who joins. Whether that be, Personal Coaching, Group Coaching or Nutrition Coaching. Nicole and Ben believe that if you treat each person at the gym, like a close friend, rather than a client, health and fitness success is more likely to occur. Coach in training / intern.